After his wife’s untimely death, a powerful sorcerer dedicates his life to seeking revenge against all womankind. He turns his captives into beautiful swans–who briefly regain human form by the fleeting light of the moon. Only Odette, noblest of the enchanted flock, has the courage to confront her captor. But can she gain the allies she needs to free herself and the other swan-maidens from their magical slavery? A monumental tale of loyalty and betrayal, of magic good and evil, of love both carnal and pure, and of the duality of human nature, The Black Swan is a rich tapestry, which is sure to become an all-time masterpiece of fantasy. The Black Swan is part of Mercedes Lackey’s Fairy Tales series and it is a loose retelling of the story of Swan Lake. Like the original story, the princess Odette is turned into a swan by a sorcerer who vows that she will be turned back into her original form if her lover, Prince Siegfriend remains faithful to her. The sorcerer, Baron Von Rothbart, uses his daughter to trick the prince into betraying Odette so that she will be forced to remain in her swan form. 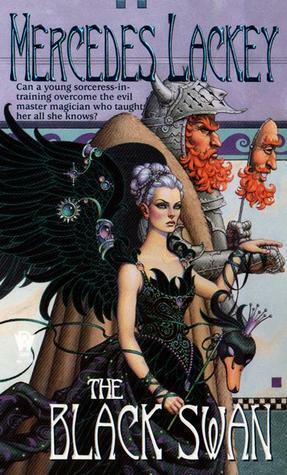 I am not extremely familiar with the original story (Okay, so I’ve only seen the Barbie version) but like most retellings, Mercedes Lackey molded this story into her own. The characters gain more depth and the reader is able to understand their motives. Even the Baron becomes a more solid character, as his motives are made clear though still rather unjust. I was extremely impressed with Lackey’s addition of another villain in the form of Queen Clothilde. She was the epitome of evil and made The Baron look almost innocent in his wicked ways. Prince Siegfried is a rather hard hero to fall in love with as he is represented as a womanizer and to be quite honest, I hated him for most of the story. Furthermore, though the reader thinks this story to be centered around the swan maiden, Odette, it is really Odile who takes center stage in the tale. Odette plays her part as the pure maiden seamlessly but it is Odile’s inner turmoil and growth that really draws the reader and helps one become invested in her tale. This was one of the first fantasy books I picked up as a young adult, I read it so many times that my paperback fell apart and my mother bought me a hardcover as a replacement. I hadn’t picked this up in years but once I started reading it again I was immediately drawn in as I was so many years ago. I love the relationship between Odile and her father and I love the strength she gains as the story progresses. Each character grows in a different way and the relationships between everyone progressed in relatable and interesting ways. I also adored the land that Lackey creates. At one point Odile is using magic to carve out a “home” out of a treen for herself and the swan maidens and for some reason it is a part that stuck with me for years, the image is forever etched in my mind. I still have yet to read anything else by Mercedes Lackey but I hope to read the rest of her Fairy Tales as well as her Elemental Masters series because I have heard wonderful things about both. This novel comes highly recommended to lovers of fantasy, strong female characters and those who love their fairy tale retellings as much as I do. 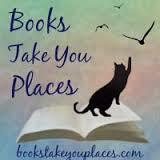 This entry was posted in Adult, Reviews and tagged fairy tales, fantasy, magic, retellings, romance, swans. Bookmark the permalink. Yes! I want to read all of her fairy tales. I love the cover of this one so much, and I really need to pick it up again (I read it in like 8th grade). So happy you featured this one. I don't think Lackey's necessarily the best authors out there, but she's still one of my favorites. Her books are like old friends to me.